Happy Wedding Wednesday, y’all. This is my first installation of my wedding series here on the blog and I am stoked about it. 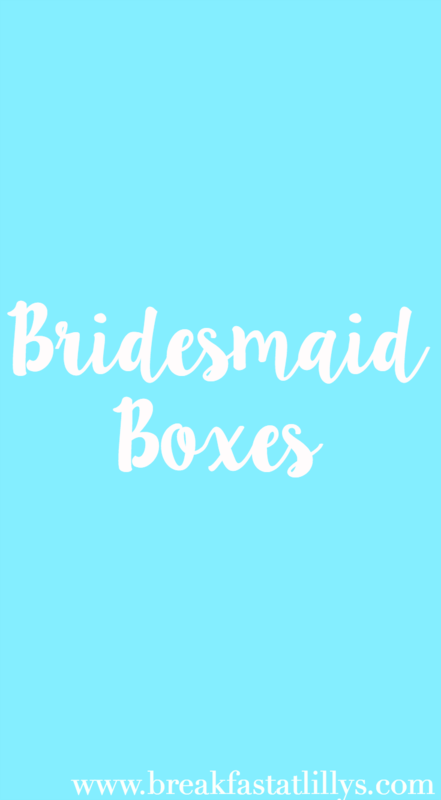 Today I am talking about how I asked my bridesmaids to be part of my big day with these adorable and easy to make bridesmaid boxes. Since they pretty much all live in different cities I had to send the majority of the ask cards in the mail which was a little bit of a bummer but oh well. I then gave the bridesmaid boxes to the girls when I was able to see them. I still have one more left to give out. This is what the bridesmaid box looks like when you open it. I bought unpainted chests from Hobby Lobby and painted them in my wedding colors (navy and pink with gold accents). I wanted to keep with the pink, navy, and gold theme so all of the items inside the bridal boxes are in that color scheme. 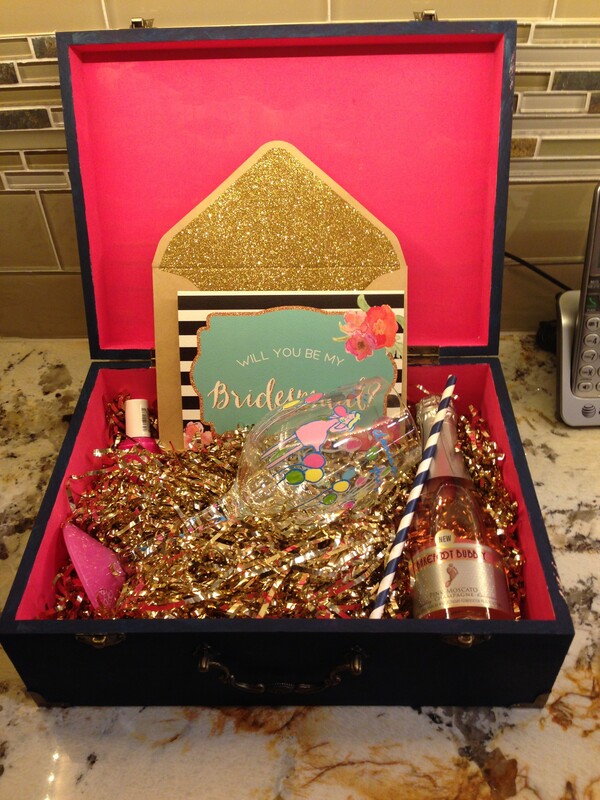 Inside I included a tiny pink moscato champagne bottle, a navy and white striped paper drinking straw, a Lilly Pulitzer hand painted wine glass in Pop, and an Essie nail polish in the color Bachelorette Bash. To add a little more pizzazz to the box I painted the inside of the box pink and added some metallic gold filler grass. I was beyond pleased with how they turned out because I am not the craftiest person out there. Another idea I had was personalizing a wine bottle and asking them to be my bridesmaids that way, but I figured this would be a little more fun. I can’t wait to start doing little wedding updates at least once a month. Next month I will be able to feature our engagement photos and potential save the dates so that will be exciting. Stay tuned for my next Wedding Wednesday post. Have you ever been a bridesmaid or maid of honor? Did the bride make the bridal party bridesmaid boxes or another goodie? Let me know down in the comments.